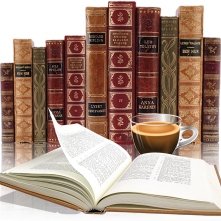 IS IT REALLY HARDER TO WRITE HISTORICALS? Here's something I hear all the time: "I could never write historical. Too much work! All that research. How do you do it?" And my answer always is: "Contemporary. I could never write it. Too much work! You have to make everything up. For historical, I need to know something, I look it up." There's truth to both statements, of course. Both genres have to make stuff up. Both genres have to do research. But I do think writing about a period where you can look everything up can be a lot easier. For example, describing a character's clothing. 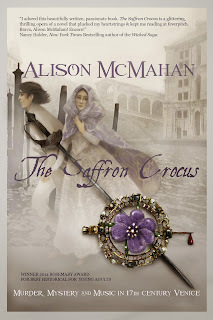 Luckily for me, when I was writing The Saffron Crocus, my historical mystery-romance set in 1643 Venice, there was art. Although much of the art was religious or allegorical, most of the painters used live models, so I could look at faces and bodies and get a visual start on a character. And I could use the clothing in portraits to dress my characters. 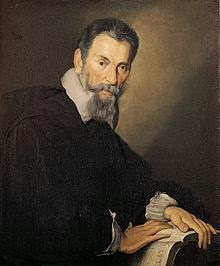 For example, Bernardo Strozzi's portrait of Monteverdi was painted in 1640, just three years before the events of The Saffron Crocus take place. I spent quite a lot of time staring into those slightly mismatched eyes while I listened to recordings of his music and came up with ways to incorporate him as a character into the story. I modeled the character of Domenico on Strozzi's Lute Player. Not just the face and the clothes, but also the general character, a boy who has just turned into a man and is something of a dandy. It's hard to look at this painting and take the young man's ability to play the lute seriously. 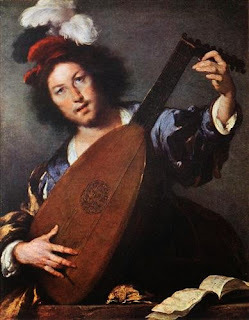 So in the story Domenico is wealthy and has good taste but he plays the lute like a hobbyist. Not like someone who devotes their life to music, as some of the other characters do. In both images I was struck by the women's expressions. 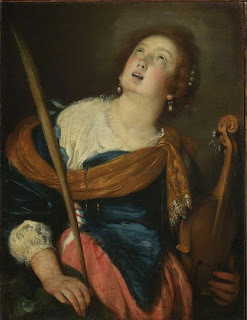 St. Cecilia is transported by some heavenly inspiration, as Margherita could be when she was singing. Judith confronts the viewer directly, even though her servant isn't too sure about this. I felt that summed up Margherita's abilities to survive and flourish no matter what life threw at her. After using so many of Bernardo Strozzi's paintings as sources of information and inspiration, I felt I had to put him in the book too. He is an "off-screen" character in the book, in that the main characters hide out in his studio while he is away, but we never meet him directly. 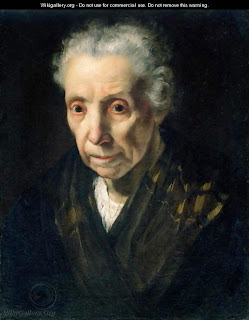 Who was Bernardo Strozzi? He lived from 1581 to 1644, so the year my story takes place was the last year of his life. 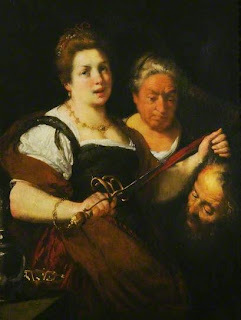 By then he was one of the most influential painters of the 17th century, especially in Genoa and Venice. He became a Capuchin monk but took a leave of absence (over two decades long!) to care for his mother and sister. After his sister married and his mother died the order insisted he return, but Strozzi left Genoa and went to Venice instead, where he had a large workshop.